Think small. 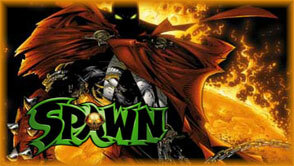 For the first time ever, McFarlane Toys presents 3-inch collectible versions of some of the most popular Spawn action figures we have ever produced. Twelve different pocket-sized figures in three separate paint schemes: original, metallic and variant. That means a total of 36 separate figures to collect and trade! Please note that the packaging pictures are taken from their respected series.